Pennzoil - I Say Ding Dong Shop - Buy Stickers, Decals & Unique Automobilia. 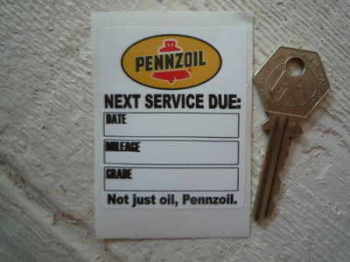 Pennzoil 'Not Just Oil, Pennzoil' Service Sticker. 2.5". Pennzoil 'Serviced At' Use Only Pennzoil Service Sticker. 6.5". Pennzoil 'Supreme Quality Safe Lubrication' Sticker. 9". Pennzoil 'Supreme Quality Safe Lubrication' Stickers. 2.5" or 6" Pair. 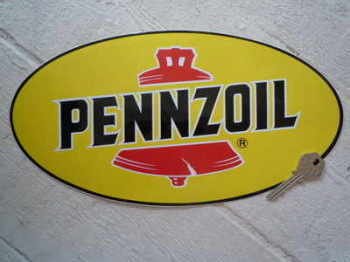 Pennzoil Oil Oval Sticker. 12". 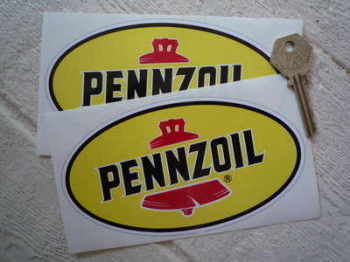 Pennzoil Oil Oval Stickers. 6" Pair. Pennzoil Oil Safe Lubrication Black & Beige Stickers. 4" or 6" Pair. Pennzoil Oval Shaped Black & Off White Window Sticker. 3.5"